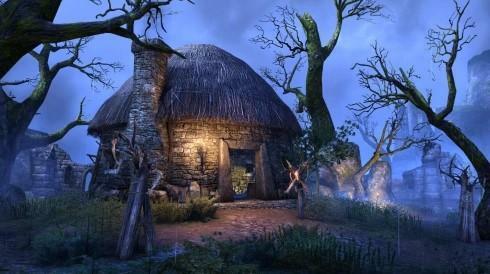 Houses are, as you should know by now, both a cosmetic addition and a useful one, if you decide to furnish them with crafting stations, storage chests etc. 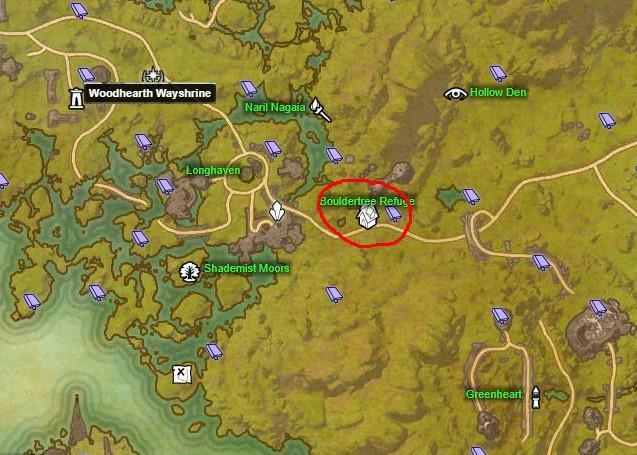 This guide was created to list every available home in the game and inform you about its size, its style, its cost, its location and its furniture space. It was made with the purpose to assist you in deciding which house is best suited for your needs and/or tastes without having to visit them in-game individually. 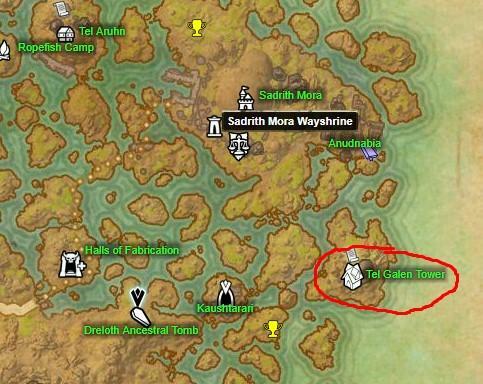 Dwarven Theodolite Pet Guide for Morrowind. 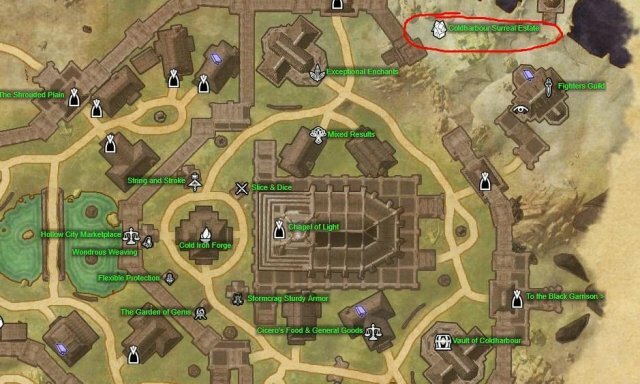 How to Make Easy Money in Shornhelm (Thief's Guide). 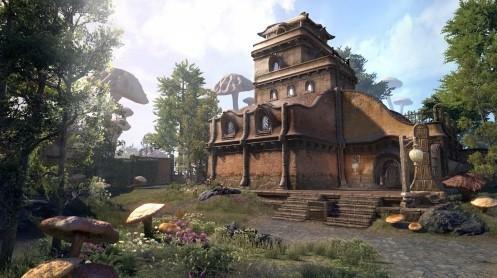 This three-level home has a nice "insect" style, typical of Morrowind local homes, while it also has a walled courtyard and a nearby dock. Last but not least, it's somewhat close to the Urshilaku Camp Wayshrine in case you want to quickly teleport somewhere. 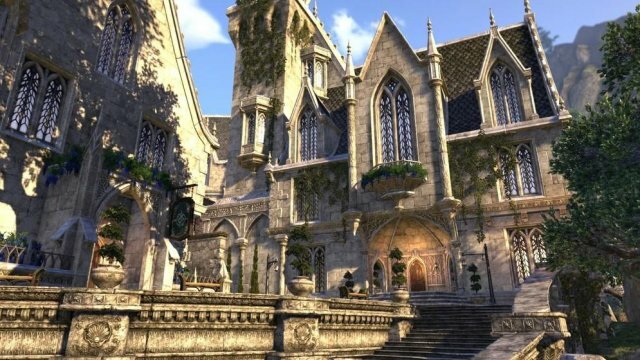 One of the best houses in the game in terms of beauty and location, Alinor Crest is located on the southern side of Summerset's capital. 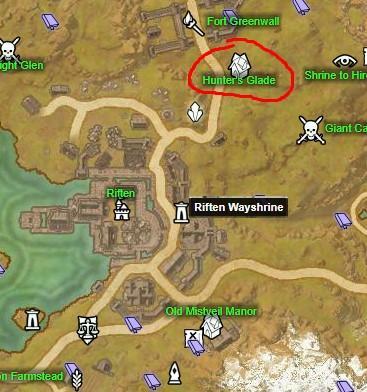 Right next to it is the Plaza of the Hand, a site with every crafting station you will need, while the Alinor Wayshrine is just a short walk away. A very good-looking house typical of Morrowind's large cities, Amaya Lake Lodge has several stories, a wall, a roof balcony, a stable and a garden. 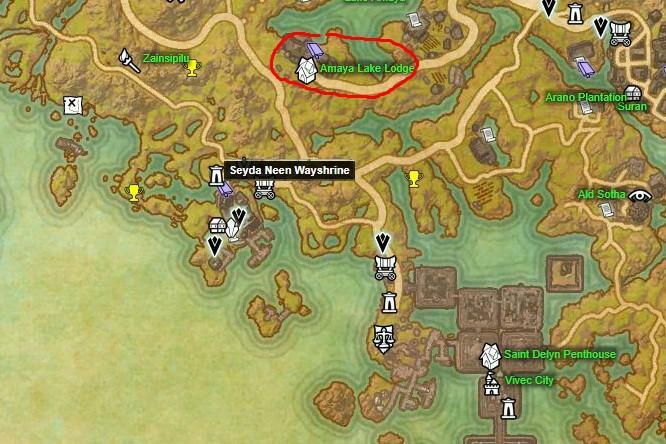 Its location could be better, since it's a bit of a ride away from Seyda Neen and Vivec City, plus the Seyda Neen Wayshrine and Vivec City Wayshrine respectively. Our first Race-themed house, Autumn's-Gate is located to the west side of The Rift. 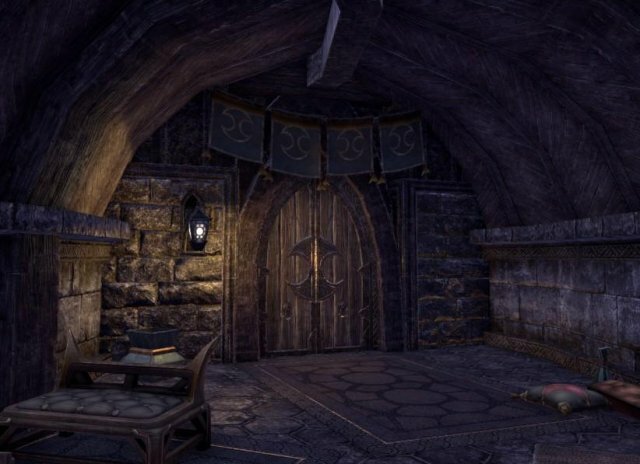 It's got a nice Nord feel with a single room that contains a large hearth and a courtyard at the front side of the house. 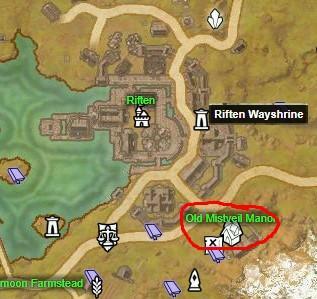 Also, Nimalten Wayshrine is a small ride away for all your travelling needs. 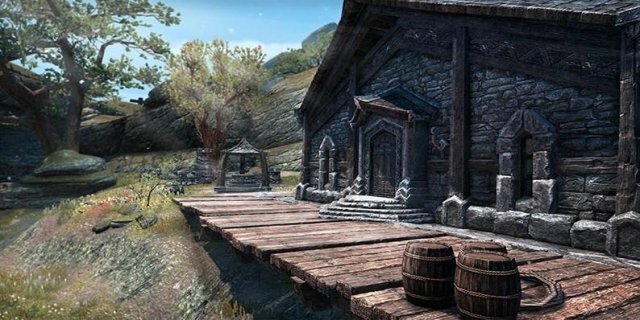 Located to the south side of Skywatch close to the docks, this apartment offers quick access to the crafting stations of the town and it's pretty close to the Skywatch Wayshrine. 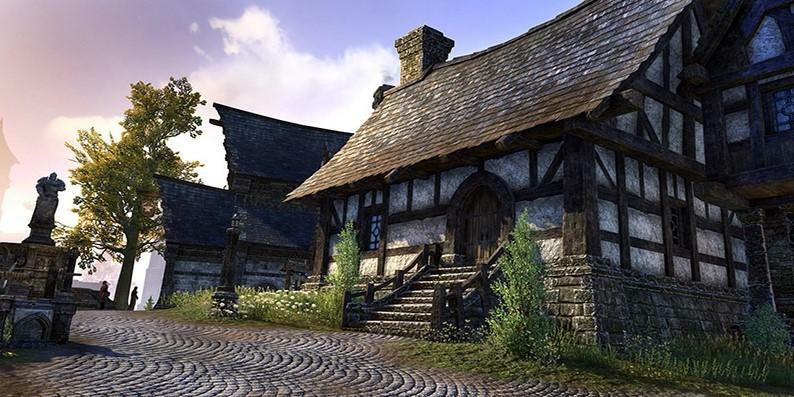 Don't be fooled by its name, Black Vine Villa is a single-floor Altmer house that contains a decent fireplace and courtyard. 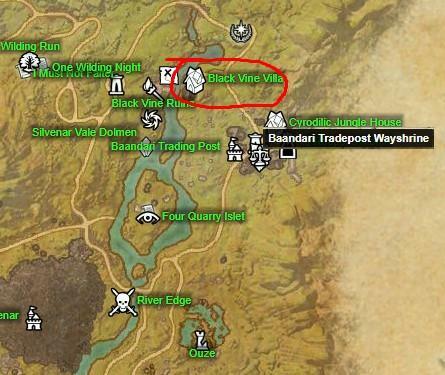 It's close to the Silvenar Vale dolmen and the Black Vine Ruins delve, while the closest wayshrine is the Baandari Trading Post one, just a small ride away. 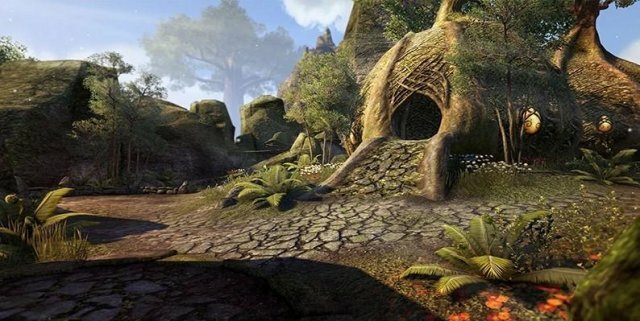 An ideal choice for Bosmer or nature-loving players, Bouldertree Refuge has an open yard and the house is located to its middle. The single room this house has is pretty small, but it has a cozy fireplace. 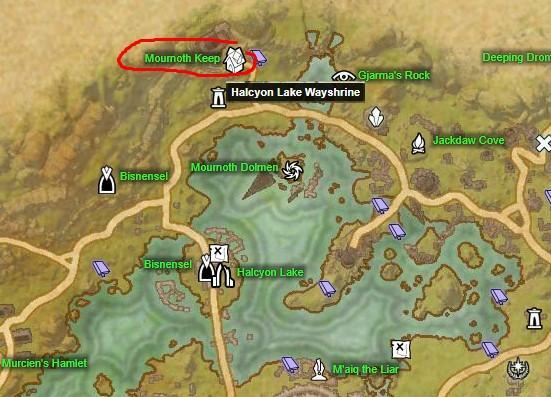 It's location however is pretty bad, with the closest wayshrine being in Woodhearth, quite a ride away. This small Breton house has one very large room with a cozy fireplace, but no sign of courtyard. This can be a good thing since it means for furnishings for the interior. 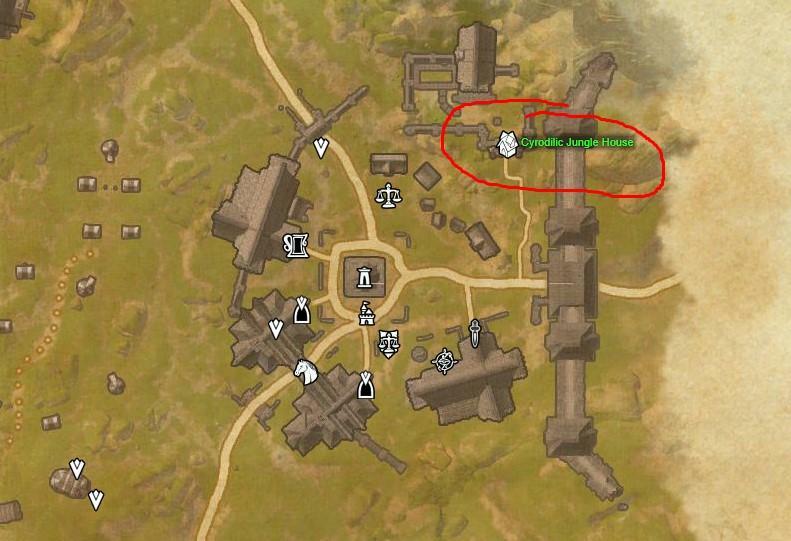 Its location is very nice, right next to Daggerfall's crafting stations while the city's wayshrine is a small ride away. 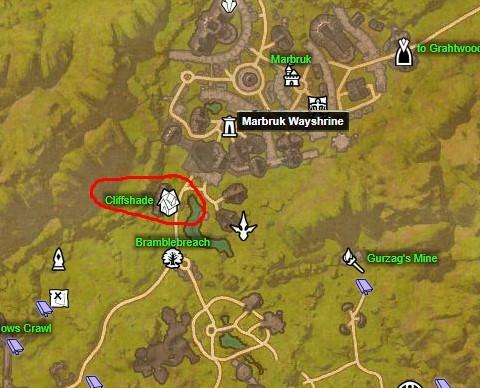 One of the best medium-sized houses, Cliffshade has an entry hall with an elegant fireplace, a small room after it, a second floor and interior balconies on two sides of the house. 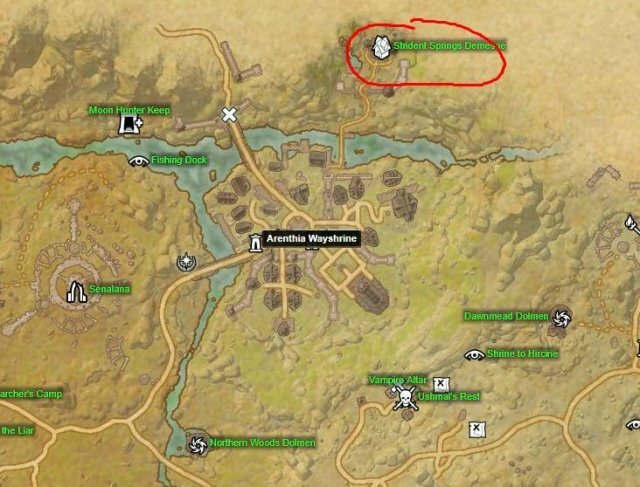 It's located right outside Marbruk, very close to an Outlaws' Refuge while the town's wayshrine and the crafting stations are a short distance away. 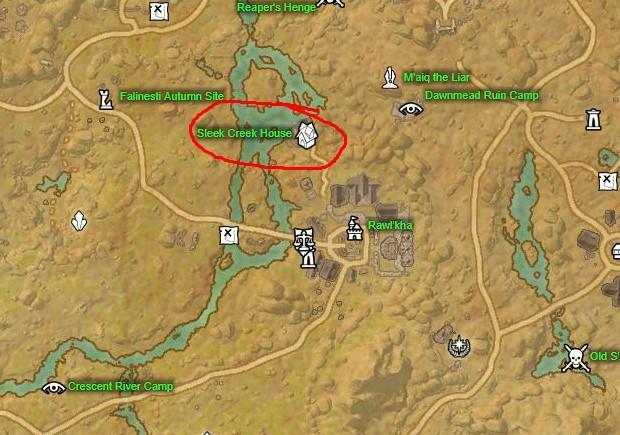 This unique house doesn't contain any structures of any kind, it's just a field with some rocks and plants scattered here and there, letting your imagination run wild. 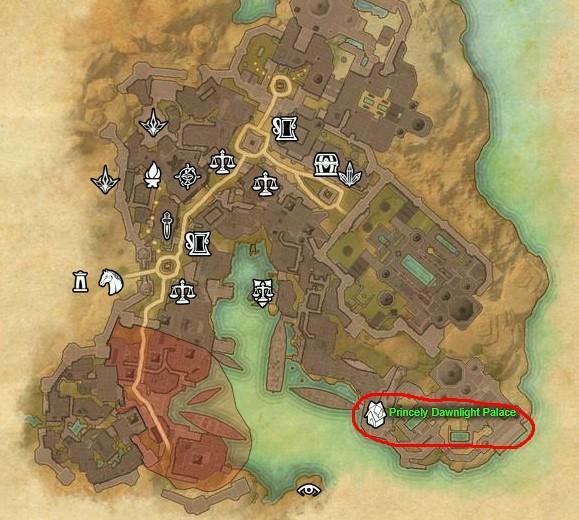 Its location in the only city of Coldharbour allows it easy access to its crafting stations and market, while the Hollow City Wayshrine is very close. 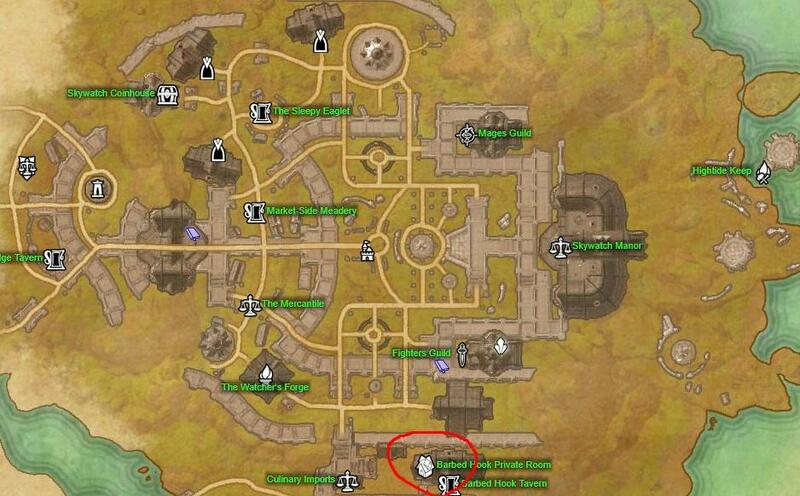 A perfect choice for guild houses, since it can fit every crafting station in the game with ease. 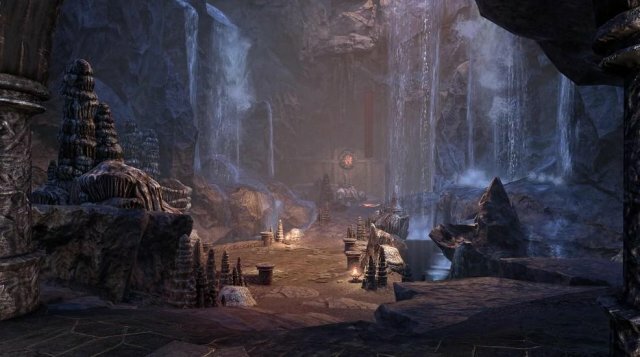 One of the most unique houses you can find, Colossal Aldmeri Grotto is a huge cavern, complete with a docked ship, a dock and some ruins. If you loved Assassin's Creed Black Flag, this is the house for you, but prepare to spend your crowns since it's only available from the Crown Store. 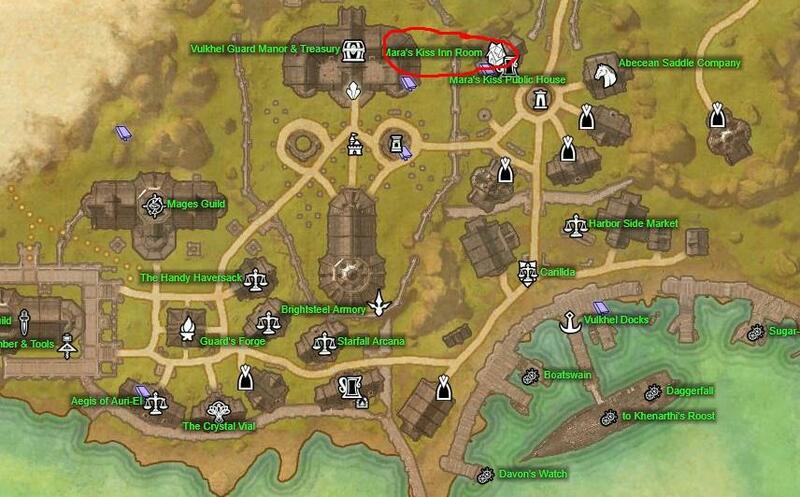 As for its location, if you get past the house's loading screen, the Cey-Tarn Keep Wayshrine is a short ride outside. Cyrodilic Jungle House is smaller than it looks, even by Small houses standards. It has a single room with a fire place and a big courtyard with a jungle feel to it. It offers access to Baandari Trading Post's stable, inn, the guilds and some basic merchants but no crafting stations. 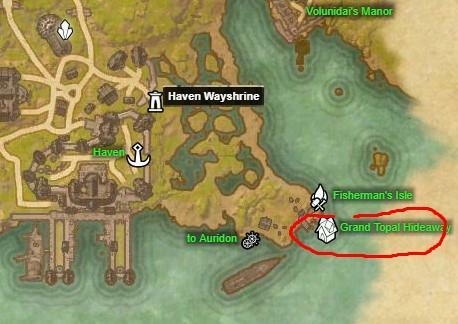 At least you can always use the Baandari Tradepost Wayshrine to get somewhere else for your crafting needs. 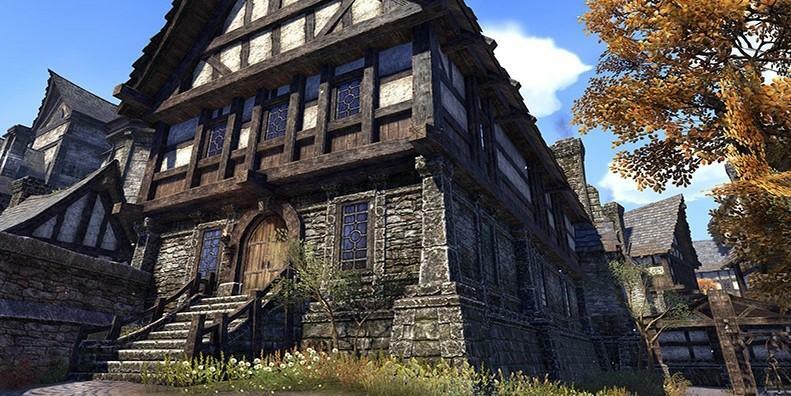 One of the best looking houses in the game, Daggerfall Overlook can make you feel like a medieval king and it's the first of The Big Three, three manors that, if bought, unlock the special Count/Countess achievement. It also has its own title called Lord/Lady. The house has two spacious floors, a dungeon, an entrance hall with one large and one small room to the ground floor, a gallery and two rooms on the second floor and a trapdoor to a water exit. The courtyard has a fountain, a big barn, a stable and a usable tower. 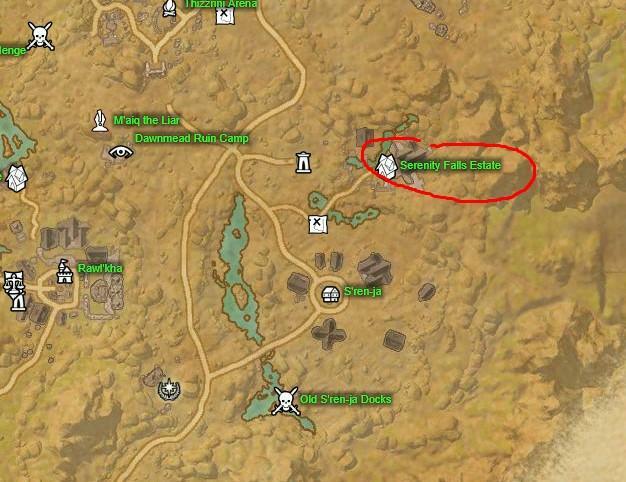 It's location however is pretty mediocre. 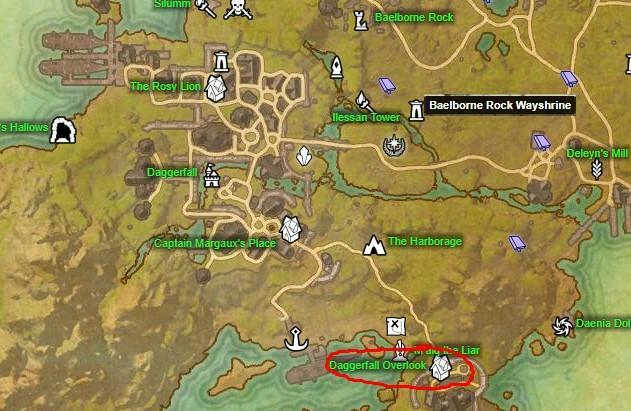 While it's somewhat close to Daggerfall City (and its crafting stations) and The Harborage, the closest wayshrine is the Baelborne Rock, quite the ride away. Domus Phrasticus is of average size by Medium house standards that comes with two floors, an enclosed staircase and the outside has a beautiful terraced courtyard. 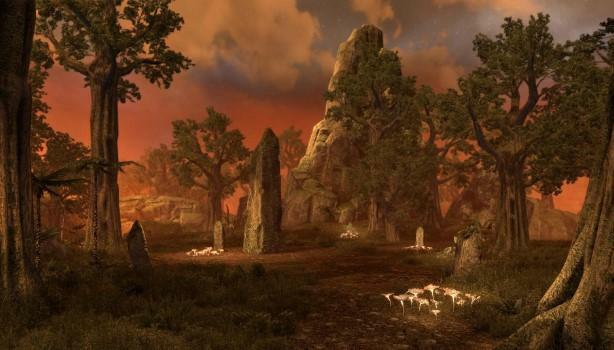 Its location is a double-edged sword since its located in Craglorn, one of the areas with the highest player activity, but the closest wayshrine is the Elinhir one, quite a ride away. 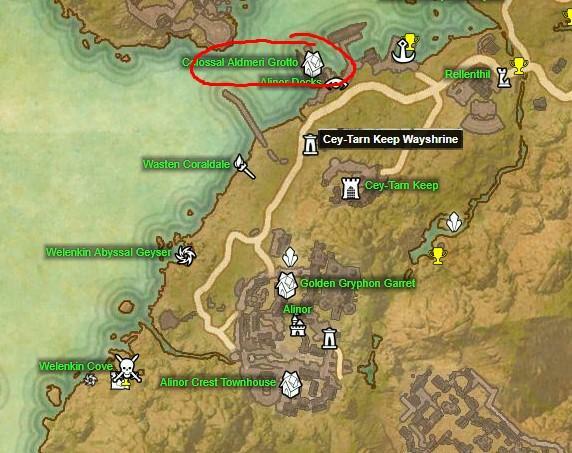 An excellent choice if you have a sneaky or stabby-stabby character, Earthtear Cavern is a massive cave dotted with Yokudan ruins, some spacious areas and a beautiful lake surrounding the estate for your swimming cravings. 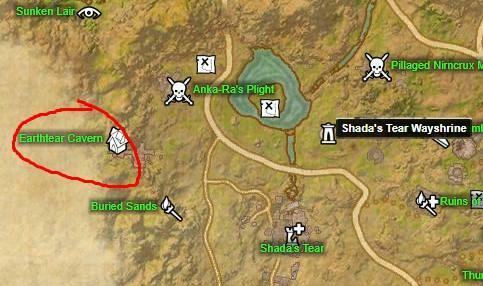 Its location is in Craglorn, a major player hub, but Shada's Tear Wayshrine (the closest one) is a big ride away. 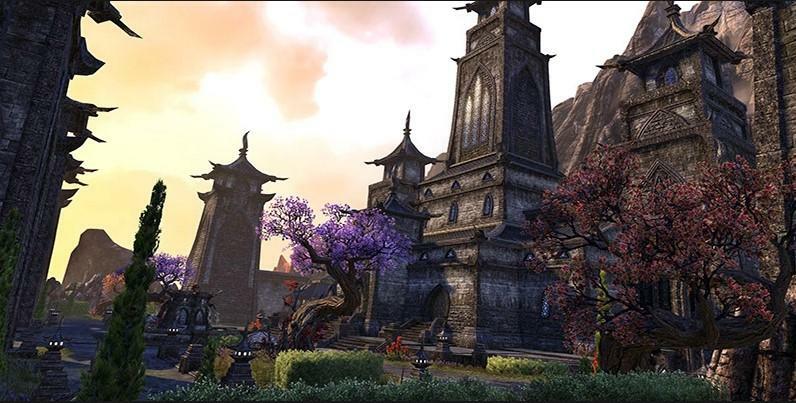 The second Manor from the Big Three, Ebonheart Chateau is associated with the Count/Countess achievement but it also has its own title called Councilor. 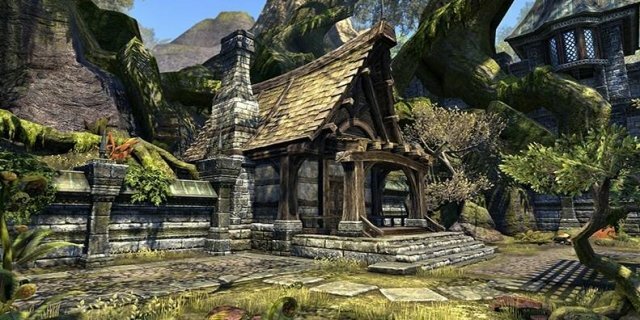 It's also one of the most popular houses with many players having it purchased, mainly for its impressive style and general setting. The castle has three massive floors with two sets of stairs on each wing, a main courtyard with a beautiful fountain, a stable and a tower. 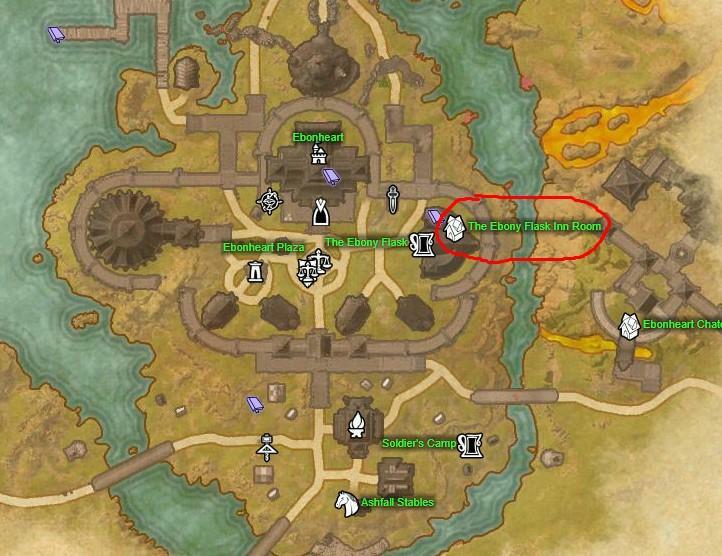 The house offers quick access to the city of Ebonheart and its services, while the Ebonheart Wayshrine is your quickest way out. 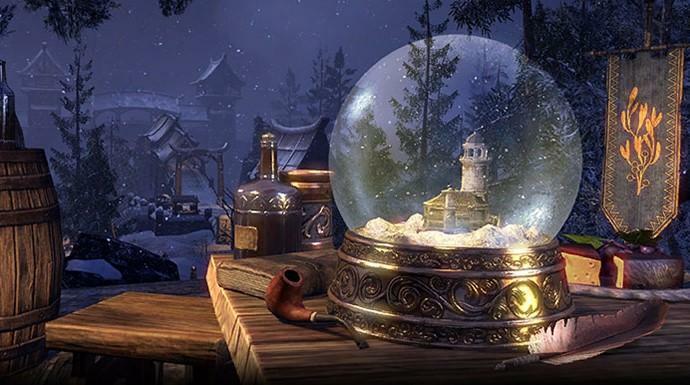 This is a very unique house in the sense that it's located inside a tiny snow globe and to access it, you have to become tiny as well. It also has a unique sky, a cobblestone courtyard with a well, while the house itself is quite large and has a tower. 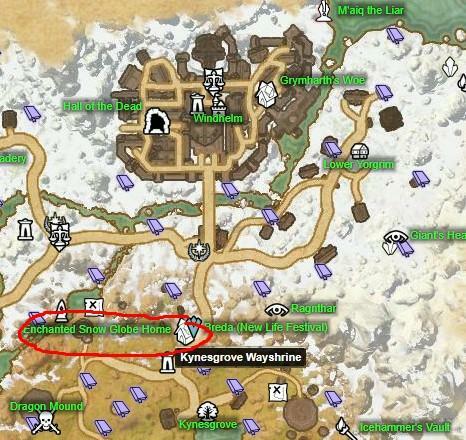 It's located south of Windhelm in the New Life Festival pavilion, quite a distance away, but the Kynesgrove Wayshrine is right outside for your travelling needs. To get this house you must have obtained the An Unsparing Harvest achievement during the Witches Festival. It has a very fairytale feel to it and it's perfect for any characters you might have that like to dabble in dark magic (or are just plain old hags). The courtyard is a mix of cobblestone and dirt with a sinister feel to it, while the house is quite small compared to other Medium houses and has a single round room. Its location is very mediocre with only the Hag Fen Wayshrine to the north giving you access to other areas. A very nice apartment located in Mournhold, it's located right outside of Mournhold Wayshrine, its guild market and the city's crafting stations. This makes it one of the best Apartment-class houses. The only drawback is the city's bank, which is a bit chaotic to find inside the city center. An Orc-style large home, Forsaken Stronghold has a very spacious courtyard, a tower that is a bit of a nuisance to access and a somewhat medium-sized interior with several rooms. 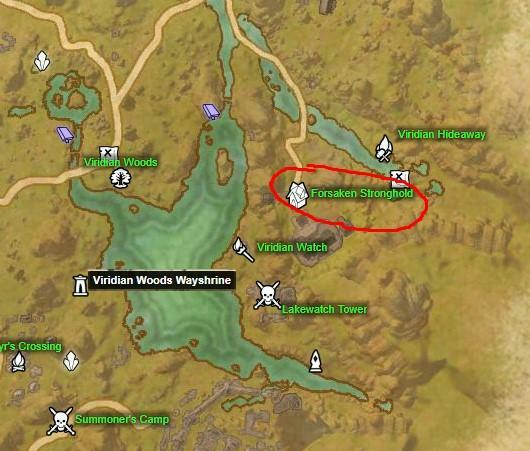 Despite its looks, its location is terrible with the only useful landmark being the Viridian Woods Wayshrine located on the other side of the lake close to the house. If you are a fan of the city life, Gardner House is the best choice for you. It has a very small J shaped courtyard with a stable on its end, but the interior has three entrances to choose the best direction to leave, two floors and a basement and a fireplace. 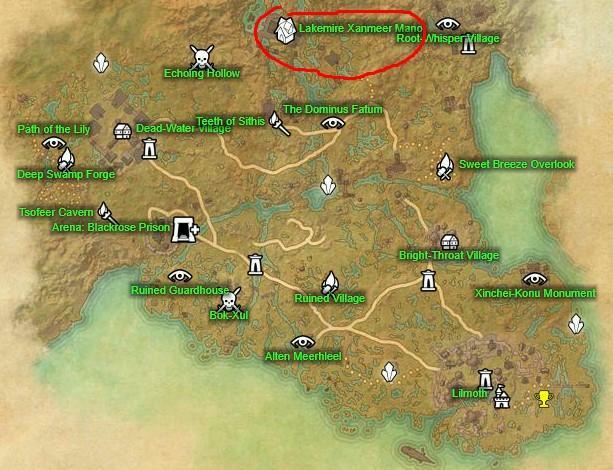 It's very close to Wayrest Bank and Rolis Haalu, for dropping off Master Writs. 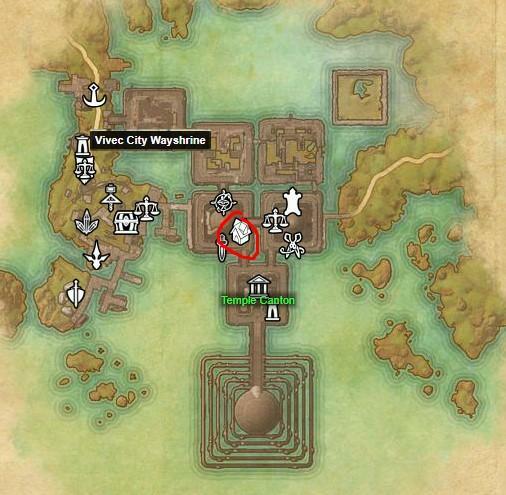 The rest of the city's services are spread out in the districts plus the wayshrine, a small ride away. 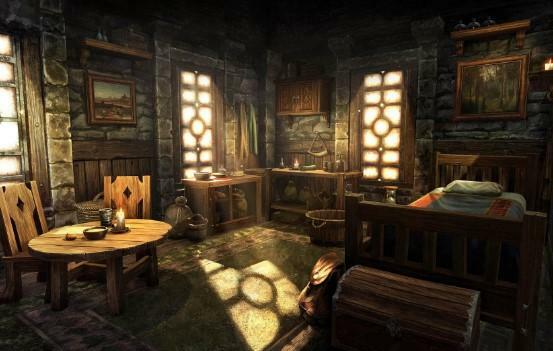 An excellent room in Alinor for your first Summerset adventures, it's located on the third floor of The Golden Gryphon inn. 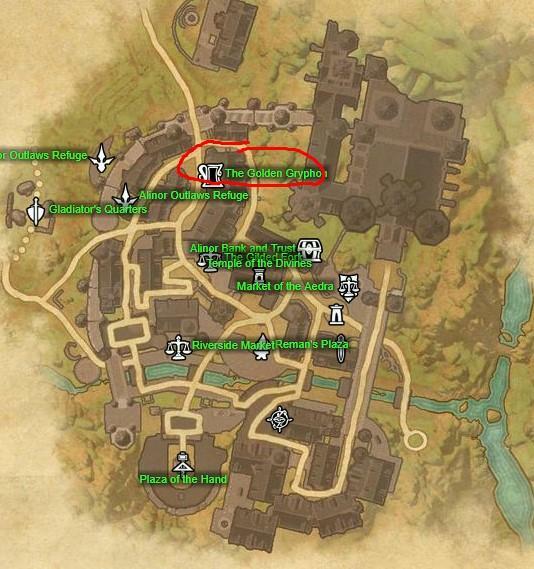 While it's nothing too special (although its general style is very pleasing to the eye), it's located to the north end of the city of Alinor with the services being to the center and the south side, a very short ride away. 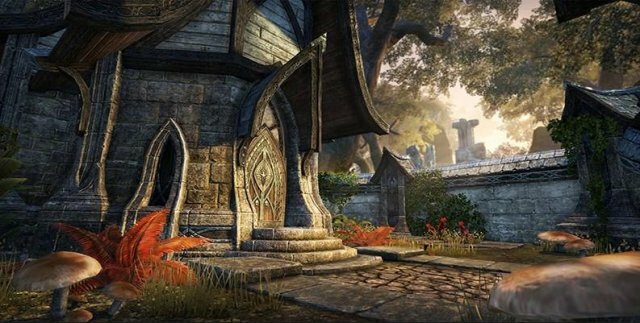 Grand Psijic Villa was given as a free reward to owners of the Summerset expansion, provided they had it purchased before the conclusion of the Summerfall Event. This event started in September 2018 and if it's going to happen again at the same period every year, it's possible this house will be available again. One of the biggest houses in existence, the villa has a massive courtyard and a huge inner main hall with several corridors on the sides and a big room on its north side. 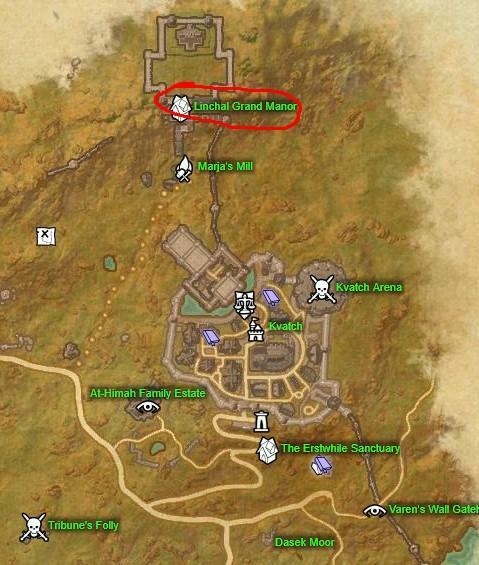 Its location is very mediocre at best, since you have to go through two loading screens and ride for a bit to reach the Artaeum Wayshrine. Another house that was available for a limited time, this one could be bought from the crown store from April 27 to May 1, 2017, which means it might be available again during that period. The island has a terrific scenery with a volcano, a dock, beautiful sandy beaches while the house itself is unique with a very Hawaiian feel to it with several sized huts that connect with bridges. Also there are some ruins and a garden with a beautiful lake. Definitely your best choice if you want to own your very own private island! 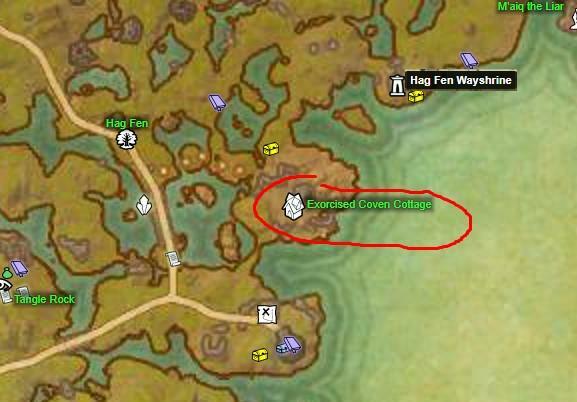 As for its location, it's close to Haven and its wayshrine, but the town itself is not the best when it comes to services since it has them scattered around. 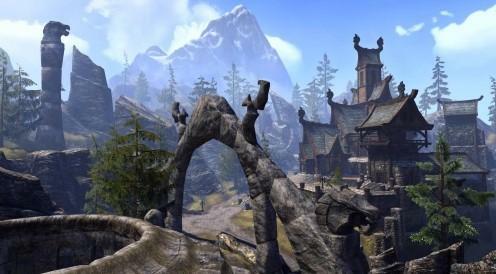 If you enjoy Skyrim and want to own a house in it's busy capital, Grymharth's Woe is the house for you. It has no courtyard but it makes up with its massive hall and its nordic fireplace. There's also a medium sized second floor and a smaller room that connects with a doorway. 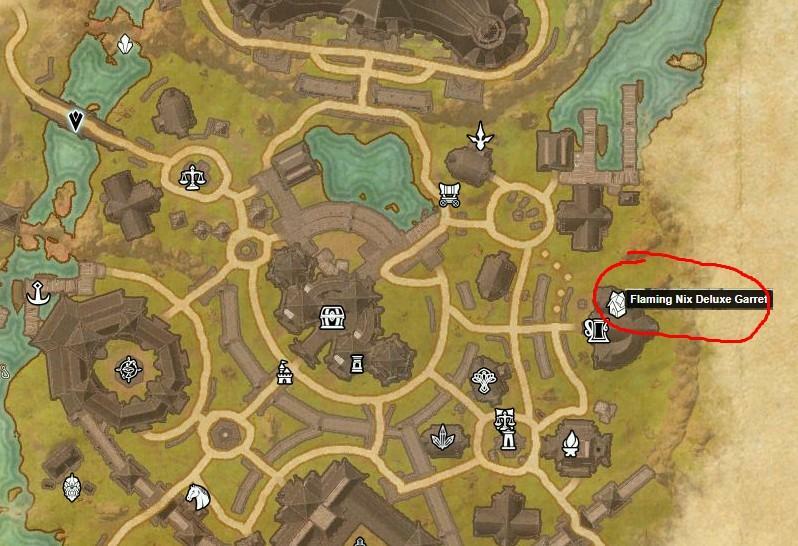 Its location is very good since the Outlaw's Refuge is right outside, the Windhelm Wayshrine is a short ride away and the crafting stations are a short walk outside. A very interesting house, Hakkvild's High Hall has a massive space for collectibles. Upon entering you will see a large courtyard while the house has a huge round shaped hall with a T shaped entrance hall. 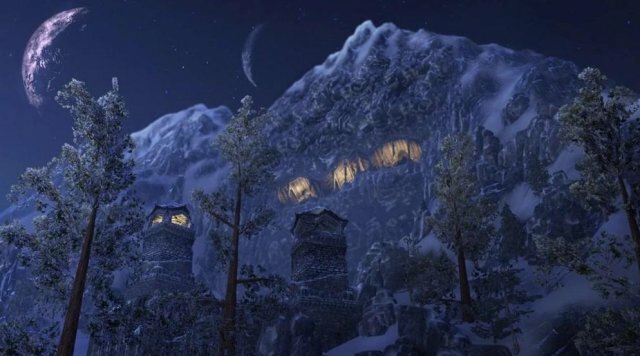 There's also a second floor, a tower and several balconies viewing to the town of Falkreath. 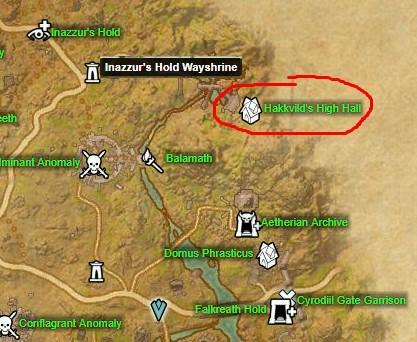 While Hakkvild's High Hall has quite the bling, its location is not very practical with Inazzur's Hold Wayshrine being the only notable POI and it's quite the distance away. A small orc house, Hammerdeath Bungalow has a medium-sized courtyard with a second level made of stone and wood, like a balcony. The interior has a single small rectangle shaped room with a fireplace. 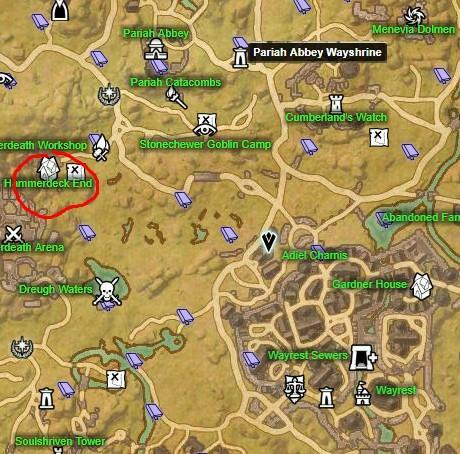 Sadly its location is terrible, with Pariah Abbey being the closest wayshrine a big ride away and the city of Wayrest to the west-southwest, a longer ride away. 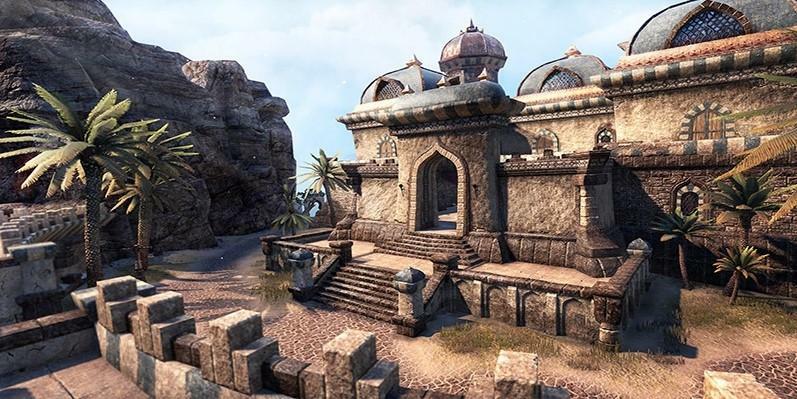 If you enjoy Redguard architecture or you simply love the city of Sentinel, the House of the Silent Magnifico is one of your best choices. While it has not a single trace of a courtyard, the interior has a big single room with an interior balcony. The second floor also offers access to the roof, which is, for obvious reasons, "outside" the house and can't be furnished. 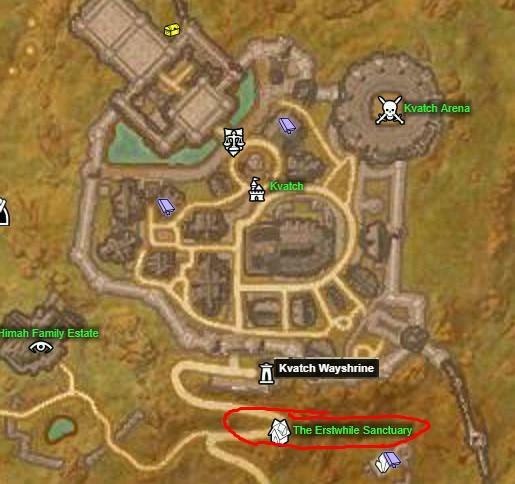 As for its location, it's very good with the Sentinel Wayshrine and the city's services being very close by. 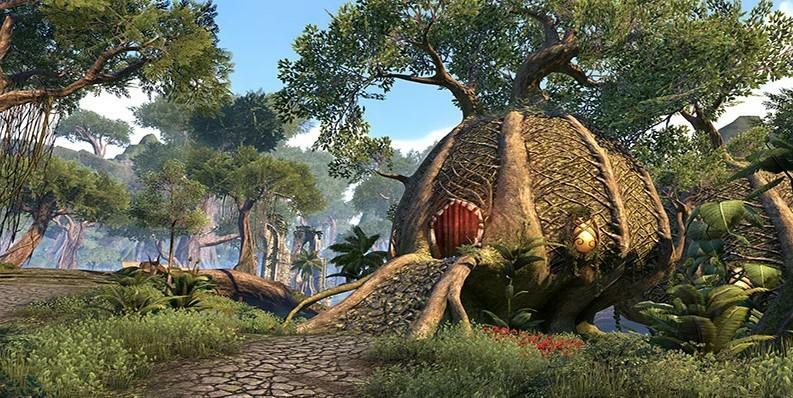 A small and simple Argonian house that represents this race's status in Morrowind, it has a surprisingly large courtyard, but the interior has a single room that is relatively small. 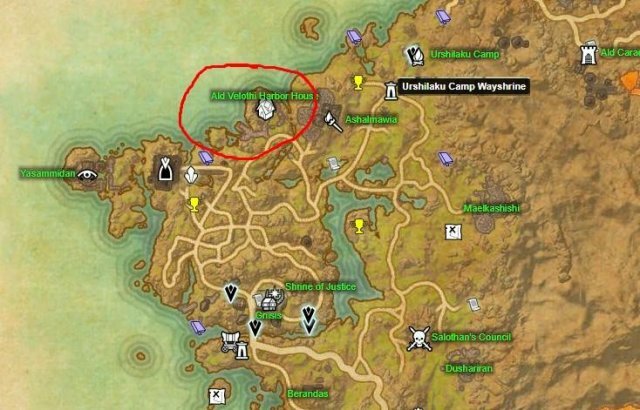 Its location is pretty awful with no services close by, except a guild merchant and the Dhalmora Wayshrine a medium ride away. One of the most popular Large homes, Hunding's Palatial Hall has a somewhat narrow, but large courtyard, a tower and a sandy beach on the back side of the estate. The house's ground floor is Π shaped, with a second floor that is also acting as an interior balcony. In terms of location it's mediocre at best, with Port Hunding's few services a small ride away but the town's wayshrine being quite a ride away. 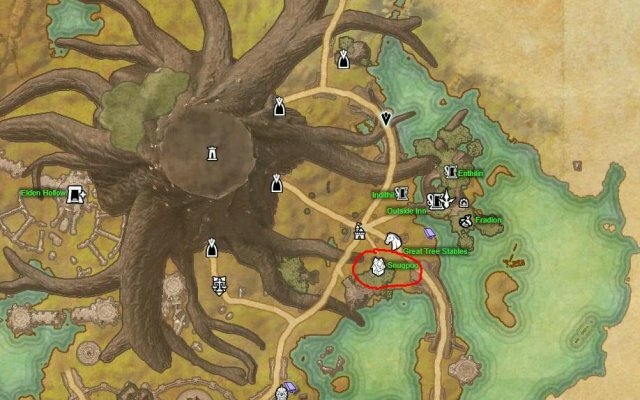 The special trait of Hunter's Glade is that if you are a werewolf, you can retain your form inside it for as long as you want. 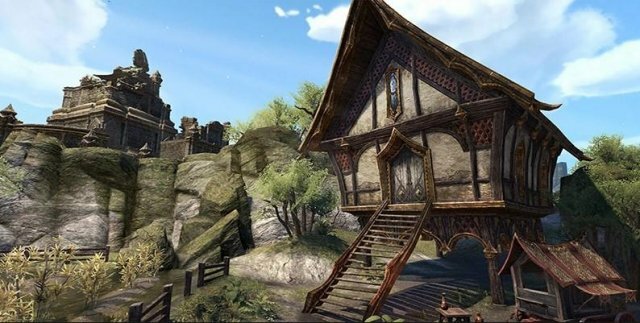 The house is currently unavailable to purchase, but it might return to the crown store for a possible Wolfhunter anniversary event. 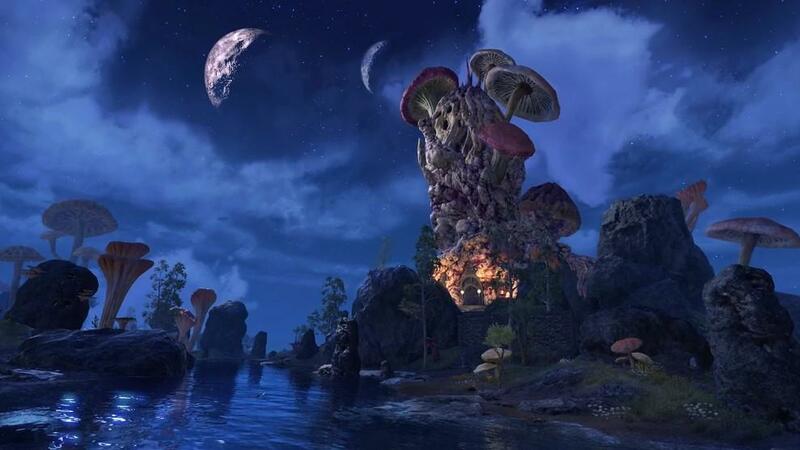 It has a unique sky themed after Bloodmoon (look up the game's wiki about what it is) and it's essentialy an open field, complete with rivers, hills, rocks, a small forest and some standing stones. The city of Riften is very close to it, with all its services and wayshrine waiting for you. Located in the town of Kragenmoor, this small house has a single, somewhat large for its size, room with a neat fireplace in its center. 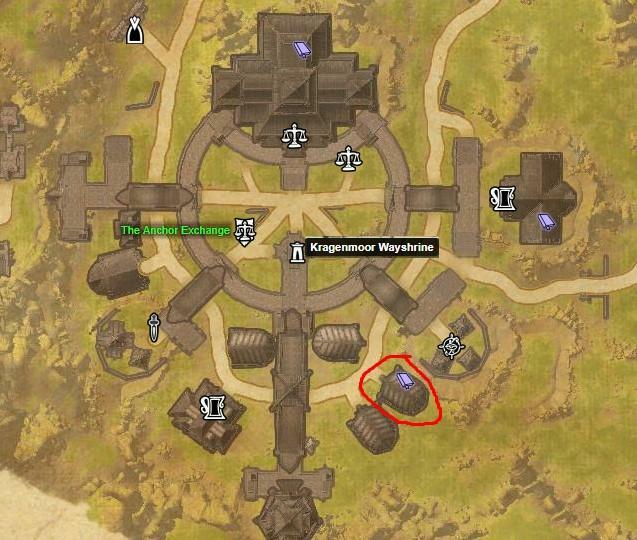 While the town offers access to crafting stations and a wayshrine in a very short distance away from the house, there is no bank in sight, therefore you will have to teleport elsewhere for your banking needs. One of the most interesting upcoming additions, this house has a whirlpool as an entrance that takes you to the main floor. 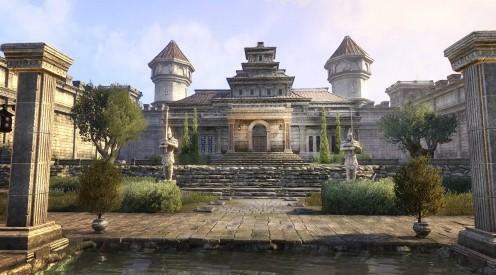 Beyond that, not much is known yet about Lakemire Xanmeer Manor. It can be said for certain though that its location is terrible, since you have to ride for quite a while to get to the nearest wayshrine. One of the best houses in the game, Linchal Grand Manor was available only for a short time, which means it might make a comeback at some point in the future. The courtyard is gigantic with a pool in its center and two towers. The house has a big entrance hall, 3 rooms, a second floor with a huge and a smaller room and a balcony. 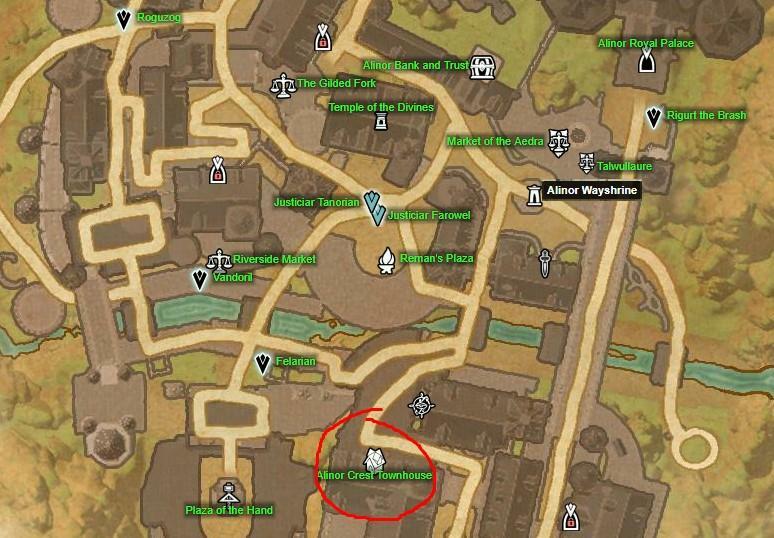 The city of Kvatch is quite a ride away however, since it has no northern gate and you have to walk all the way to its main entrance in the south side. 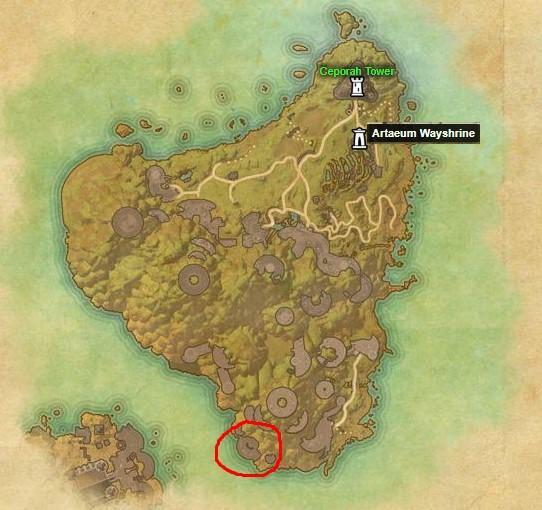 This makes the house's location pretty bad. 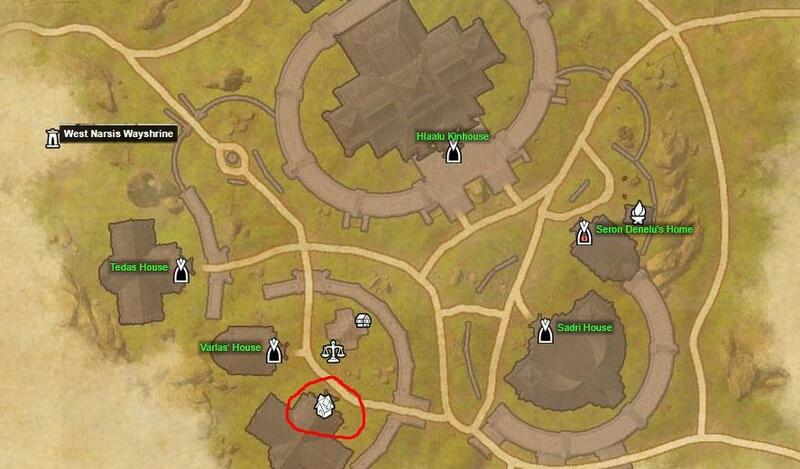 This room is well-known for being the smallest house in the game, it's even smaller than its DC and EP counterparts. 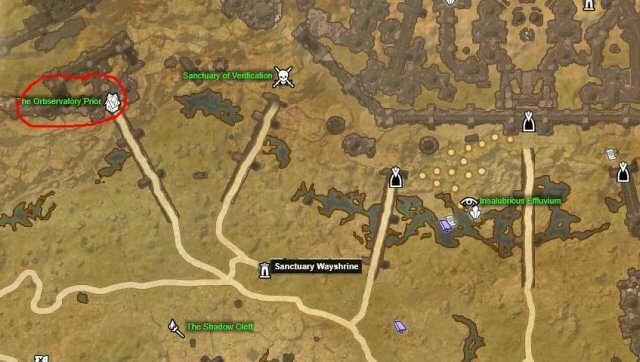 Not having much space inside, it has a convenient wayshrine located right outside and the services of Vulkhel Guard a short ride away. Don't be fooled by its name, this house is not a manor despite being quite large. A pretty popular choice for Dominion sympathisers, it has an average front courtyard with a small corridor on the side that leads to the magnificient back courtyard, which has a pretty pool. The interior has a somewhat narrow grand hall that leads to a petal-shaped ground floor with two staircases that lead to the second floor. Upstairs you will find somewhat smaller rooms, but some very pretty balconies with excellent view. 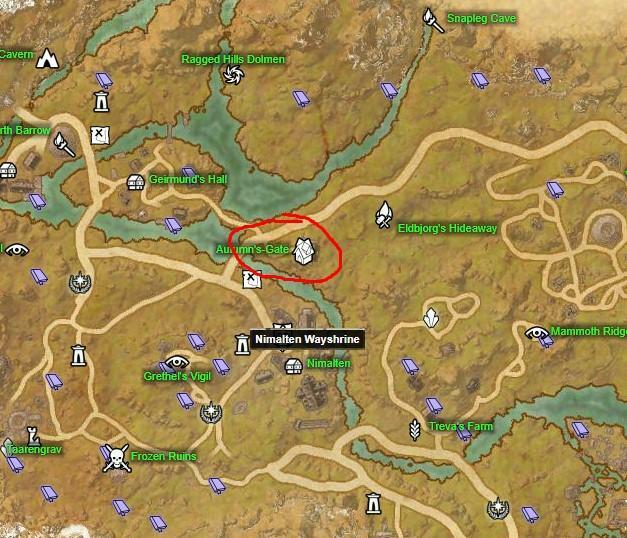 Its location however is terrible with the closest wayshrines being quite the ride away. 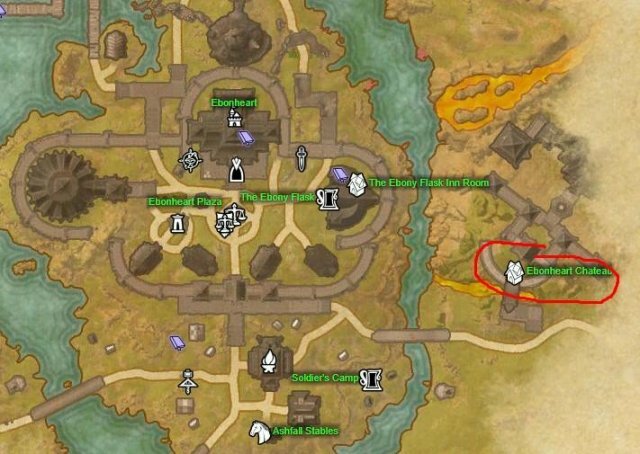 Located in Khenarthi's Roost, Moonmirth House is one of the most ideal choices if you plan to farm resource nodes and need a small map where everything is relatively close. The house has no courtyard and inside you will find a single, large room. Khenarthi's Roost Wayshrine is a short distance away, while you can always ride to Mistral in the north for your crafting needs. 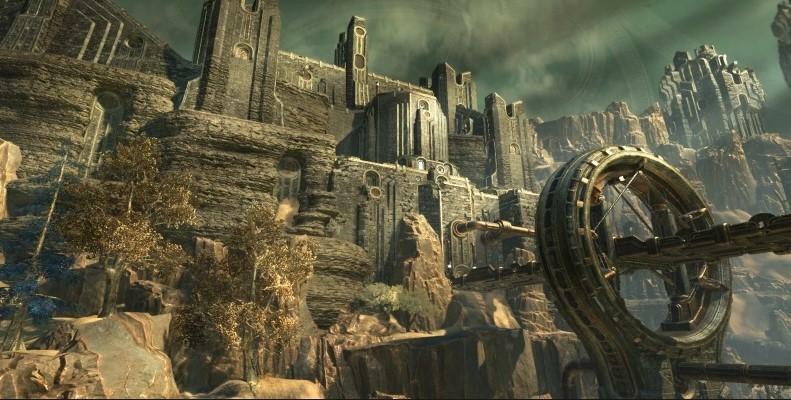 One of the best choices in its category and my personal primary house, Mournoth Keep is quite large despite its medium class. It has a large courtyard with an elevated area and a terrace that acts as both courtyard and balcony. The interior has a ground floor with two large rooms and a medium sized hall, while the second floor has a single large room. While there are no remarkable POIs around, you can always access the Halcyon Lake Wayshrine, which is right outside the house, to go where you want. Yet another large home that for whatever reason has the "manor" in its name, this house has a nice medium-sized cobblestone and dirt courtyard with a spacious barn. The interior has a small hall that leads to the ground floor, which has large room with a fireplace and a smaller one to the left. The second floor has a big room with another fireplace that connects to a smaller room and a balcony with an excellent view. 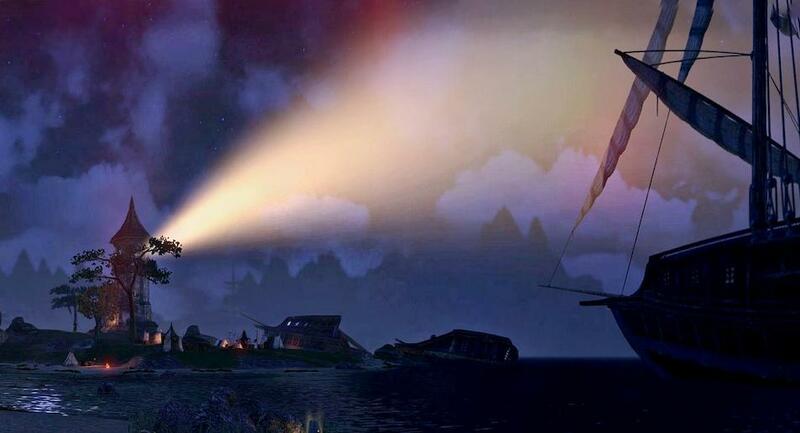 The house is a short distance to Riften and all its services, which makes its location excellent. 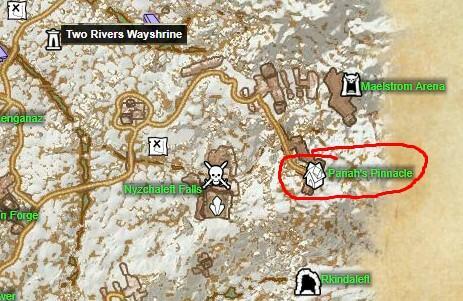 Pariah's Pinnacle was available for a limited time in the crown store from December 7 2017-January 2 2018, therefore keep an eye out in case it makes a comeback. 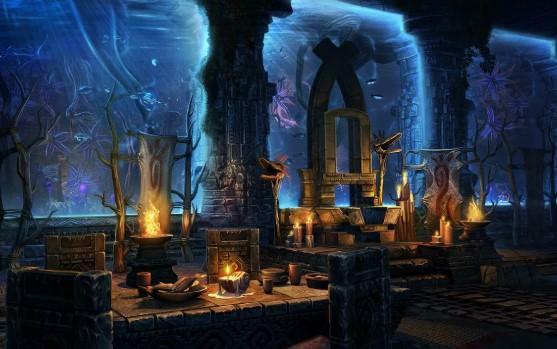 The house has a spacious cobblestone courtyard dotted with orcish ruins, a lake and a waterfall but the best part is the interior. 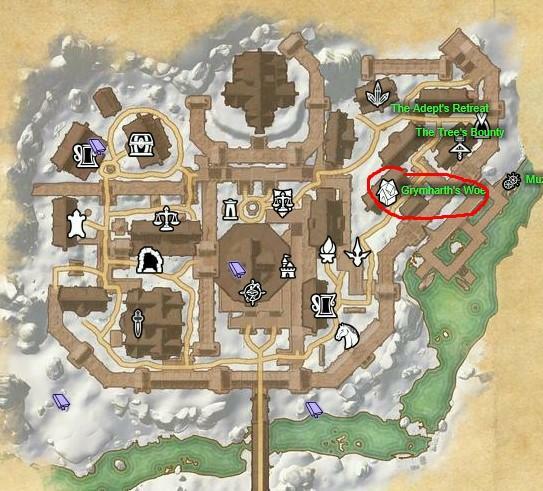 Upon entering you will find some enclosed room-sized balconies that overlook Wrothgar beneath the estate and you can access other various-sized rooms via some small corridors. 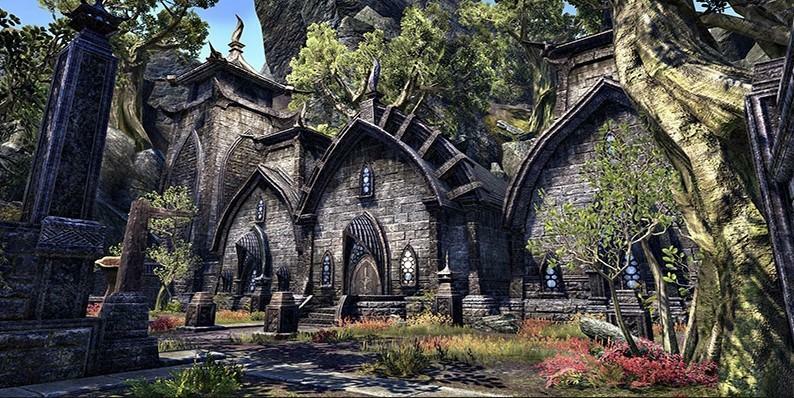 In my opinion, this is one of the most impressive and beautiful houses in the game. 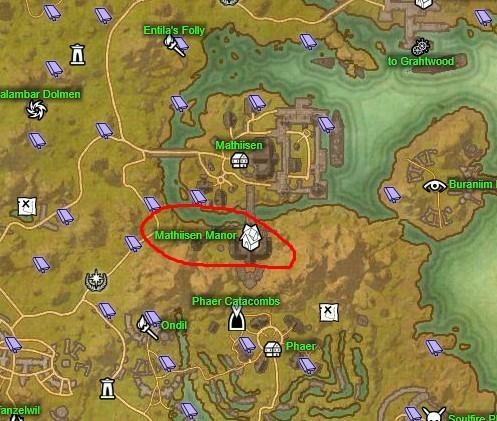 However its location is horrible, with only the Maelstorm Arena to the north and the Two Rivers Wayshrine being a lengthy ride away. Princely Dawnlight Palace was available through the Crown Store for a limited time from May 10-14 2018, but it was marked as "discontinued", which makes its possible return a mystery. The courtyard is massive and decorated with columns, arches, a pool, fountains and a private dock. The interior is equally grand with spacious halls, various sized rooms and in the center of the ground floor a gigantic circle shaped room, while the second floor has several rooms and interior balconies that also act as corridors. If not the best, definitely one of the best looking houses in the game and ideal for a king. Its location is pretty good as well, since its located in the city of Abah's Landing but a bit far from the services. Quondam Indorilia has a medium-sized courtyard despite its category, but it makes up for it with the iinterior. It has a ground floor with a large hall and smaller rooms on the sides, a large basement and a second floor an interior balcony that acts as a corridor and leads to two rooms on the sides. 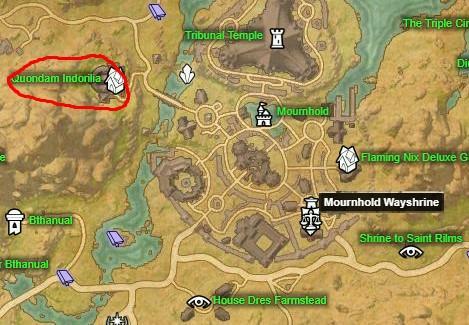 The capital of Mournhold is a short ride away and all its services are very close by. This house has a small, but pretty, Π shaped courtyard to its back while the interior has two floors with two entrances. Both floors have a single, large room each so if you are looking something with more complex design, this is not the best choice for you. 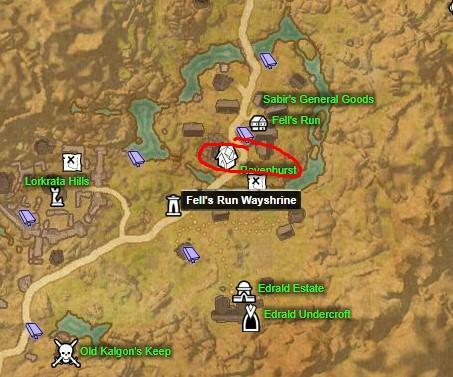 The village of Fell's Run has only two merchants and a cooking fire, therefore you will need to use the wayshrine outside the village for your crafting and banking needs. 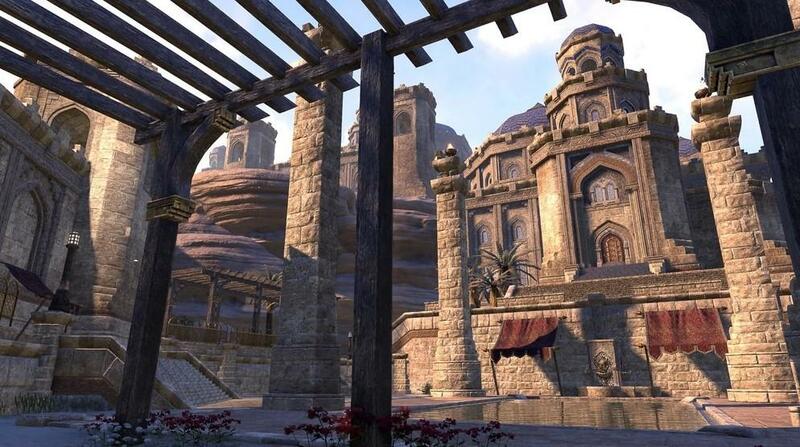 If you plan on staying in Vivec City for a while, Saint Delyn Penthouse is your cheapest and best choice. The room is inside the Abbey of St. Delyn and offers lighting-fast access to the city's services and wayshrine, making its location excellent. This house's courtyard is huge with a two-story barn, stables, a small river with a bridge and a waterfall. The interior has two floors with spacious rooms and corridors, but it can be said that it's a bit smaller compared to other manors. Outside a short ride away the S'ren-ja Wayshrine awaits to take you whenever you need to go. 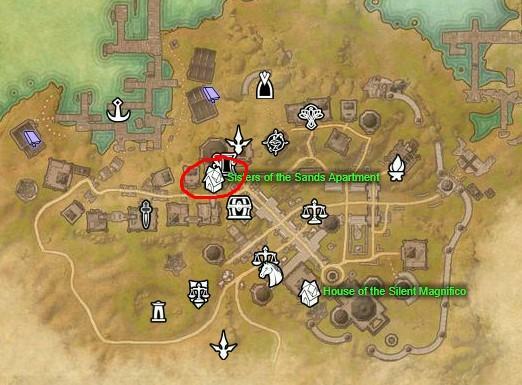 If you are interested in staying in the city of Sentinel, Sisters Of The Sands Apartment is your best choice. 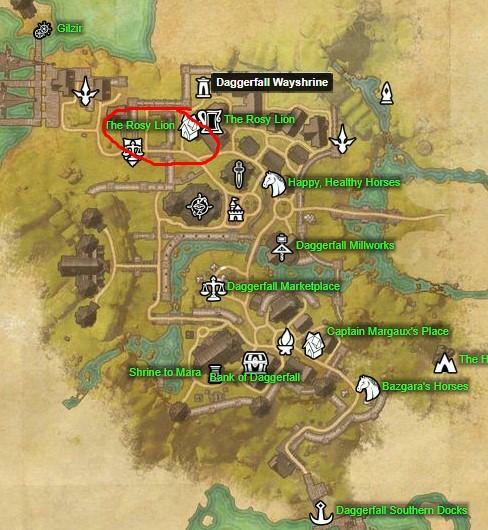 Not only it offers quick and easy access to the city's services, it's also very close to one of the most popular grinding spots in case you are not interested iin doing the quests and exploration to level up and are looking for something more "drastic". Sleek Creek House has a relatively small cobblestone courtyard without much soil to plant your... er... plants plus a small pool. The house itself has a nice balcony and a big room for all your needs. The house is very close to the town of Rawl'kha, one of the most popular places for players to gather, making its location very good. Snugpod has not even a small bit of courtyard, which can be a double-edged sword, while the interior is pretty much a single room. However this house is located in the capital of Elden Root, a major gathering hub for players that also provides all of the services you will need just a short walk away. Aside from the absolutely hilarious name, Stay-Moist Mansion is the ideal choice if you are an Argonian enthusiast. 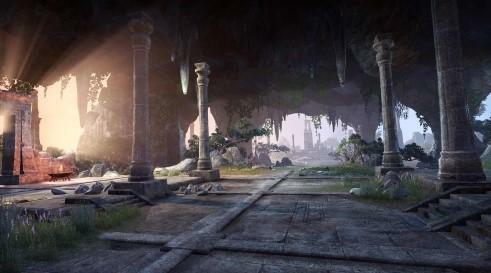 It has a spacious courtyard with exotic plants and some ruins. The house itself has two floors with the ground floor being a single, round shaped room that is great in size and the second floor having a smaller room of similar size. 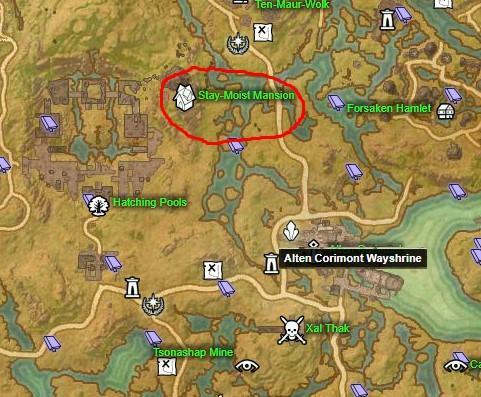 In terms of location it's bad, since you have to walk all the way to the Alten Corimont Wayshrine if you want to get somewhere. And if you eventually buy this, remember to stay moist! Strident Springs Demesne (try saying that 5 times as fast as you can) has a beautiful, big courtyard with a pool, a waterfall, a fishing platform (minus the fishing spot, don't say I didn't warn you) and a tower. The interior has two floors with the ground floor being cross shaped and quite large plus a smaller room on the side. The second floor has some small rooms and acts as both a corridor and an interior balcony. If you are not in a hurry, the town of Arenthia and her wayshrine is to the south, some riding distance away. 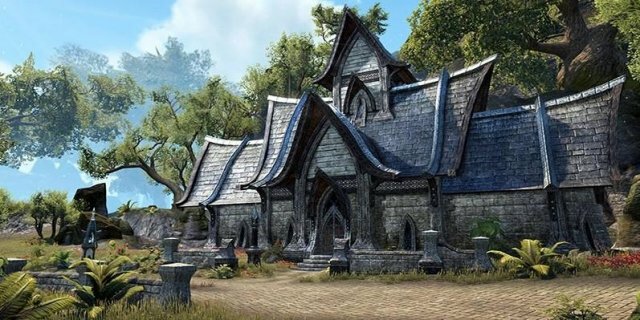 This house was only available for purchase from the Crown Store for a limited time, from June 15-June 19 2017 but it might return in the future. 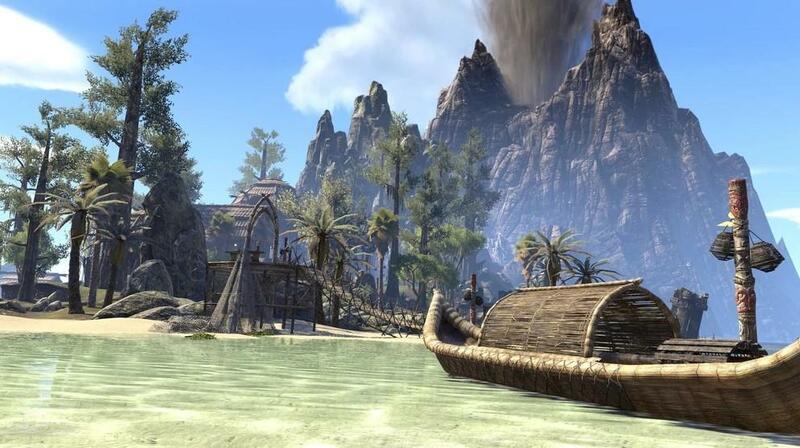 Perfect for Telvanni mages, Dunmer characters or mushroom enthusiasts, Tel Galen Tower has its own island complete with docks and a small tower. The interior has 5 spacious rooms to furnish plus a top floor that you can access with levitation platforms. 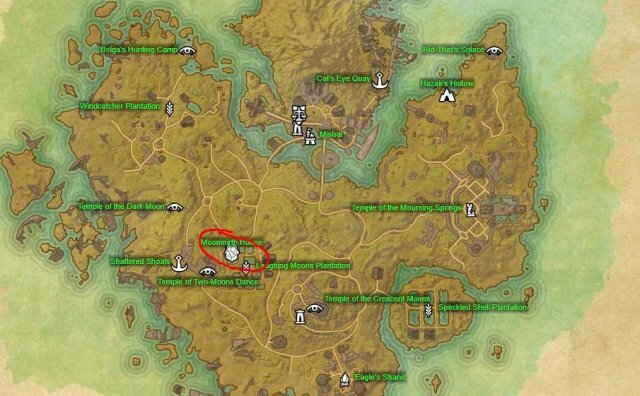 It's a medium ride away from the Telvanni town of Sadrith Mora and its services, which makes its location pretty mediocre. 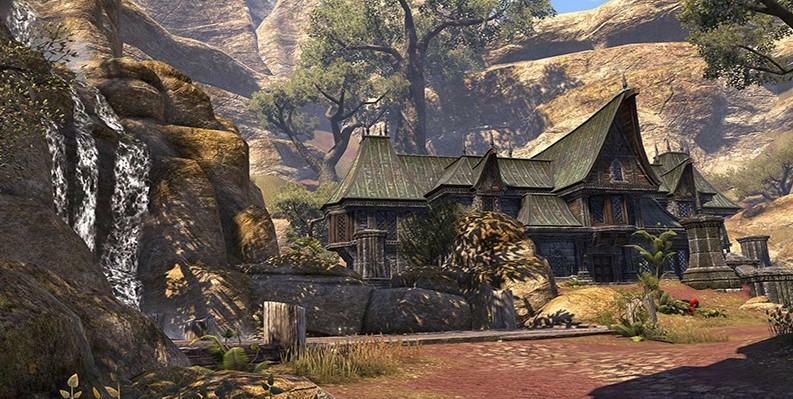 If you love Argonians or the city of Stormhold, The Ample Domicile is the place for you. While the house is relatively small, the courtyard is very nice and the weather gives the house a nice reptilian feel. 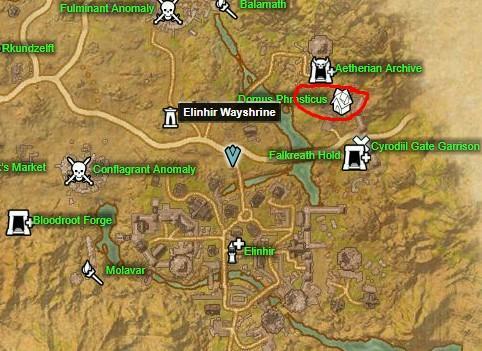 As for its location, it's right next to Stormhold's market and crafting stations while the city's wayshrine is on the other side of the settlement. 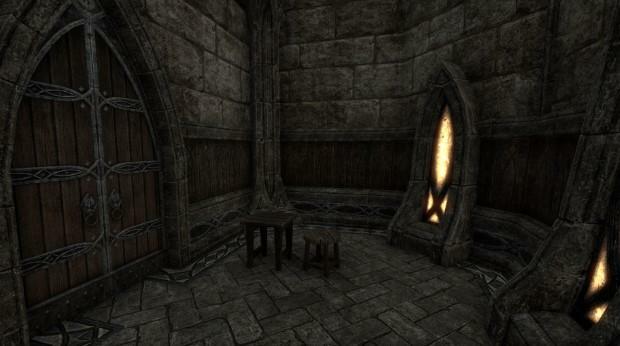 A small room for your naughty needs, this house is located inside The Ebony Flask, an inn and brothel in the city of Ebonheart. 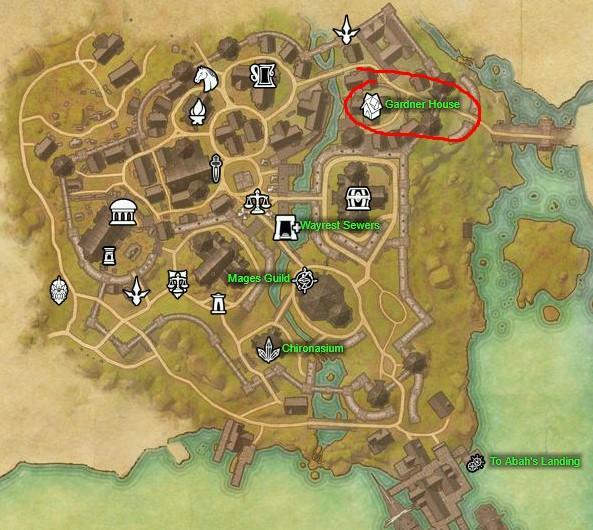 Its location is very good with the crafting stations of the city being right outside plus the Ebonheart Wayshrine. The Erstwhile Sanctuary was available in the crown store only for a short time during 8-12 March 2018 and it's no longer available to obtain. 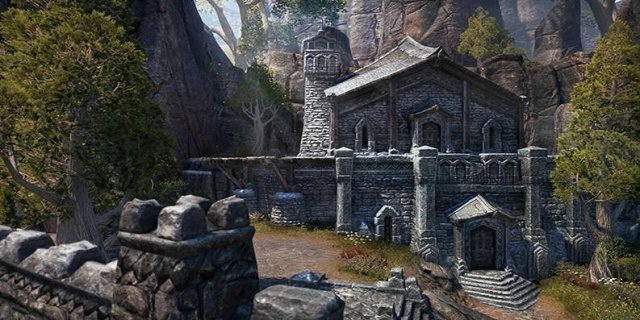 This of course doesn't mean it might not be available again in the future, so if you want your own Dark Brotherhood sanctuary for all your sneaky characters, this is the choice for you. 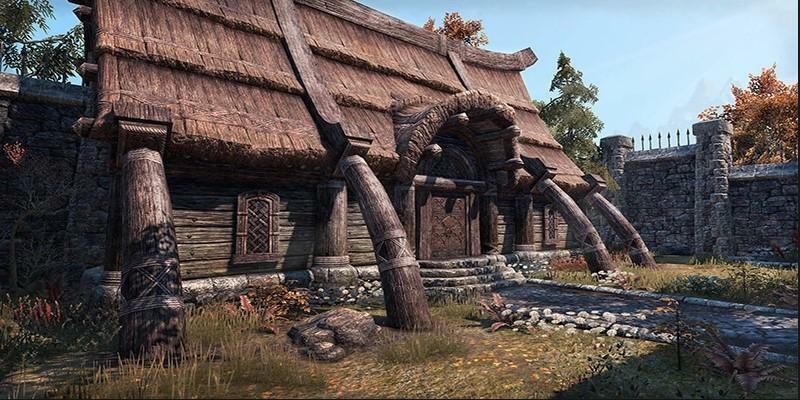 The house is located in Kvatch, very close to a wayshrine and a small ride away from all the city's services. 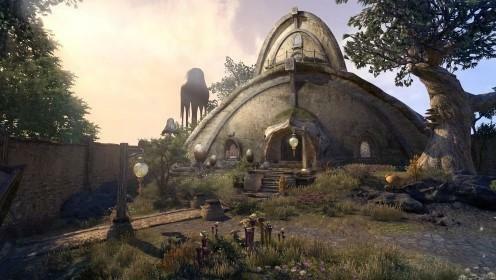 The Gorinir Estate has a very spacious multi-leveled courtyard (one side is flat, the other is a bit hilly), while the house itself is Bosmer style with three pods. One pod has a ramp that leads to the other two and the rooms are spacious enough for all your needs. 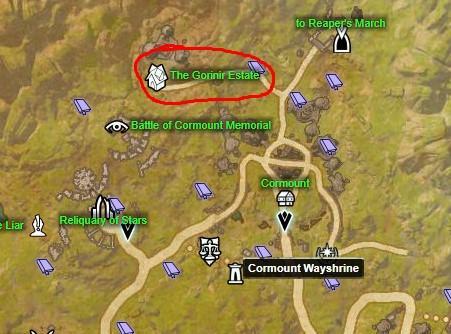 Its location however is terrible with Cormount Wayshrine the only point of interest that is close a medium-sized ride away. This unique home has a spectacular view that overlooks nearly the entire Clockwork City map. Despite being classified as Large, it can be said that it's a bit bigger than that with spacious rooms, gigantic outdoor walkways and so many gears and kogs that will make you dizzy by looking at them. Since the Clockwork City map is relatively small, you can access the city or any other landmark of your choosing via the Sanctuary Wayshrine, a short ride away. One of the starting houses, this very small room barely has enough space to throw inside a bed, a table, two chairs and a couple other things. 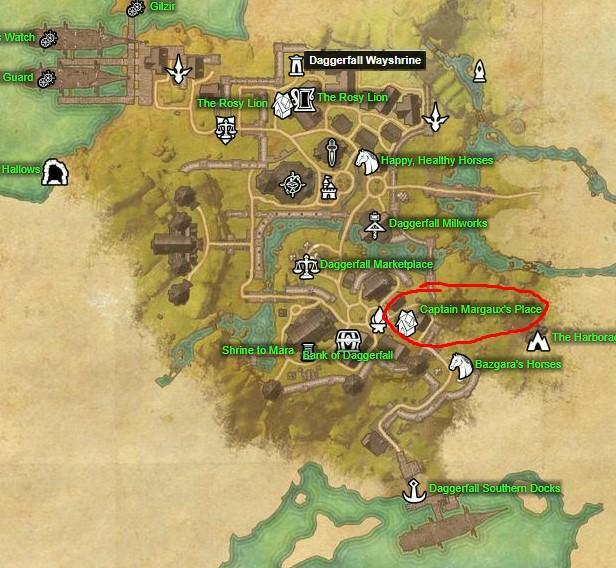 At least its convenient location next to Daggerfall Wayshrine and the city's services being a short ride away make up for the lack of space. Yet another pretty popular house because it's one of the biggest estates in its category, Twin Arches has a small courtyard that is nicely walled. The interior has one pretty big room that you can divide in sections and furnish them accordingly. 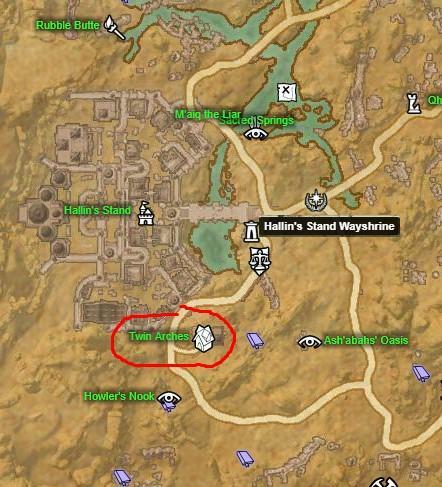 While it's close to Hallin's Stand, its wayshrine and its services, the town doesn't have a bank which makes it an ok choice, but not that great. Velothi Reverie has a nicely walled garden which is relatively small, but the interior has a ground floor with two wings, a second floor, two rooms and a basement. 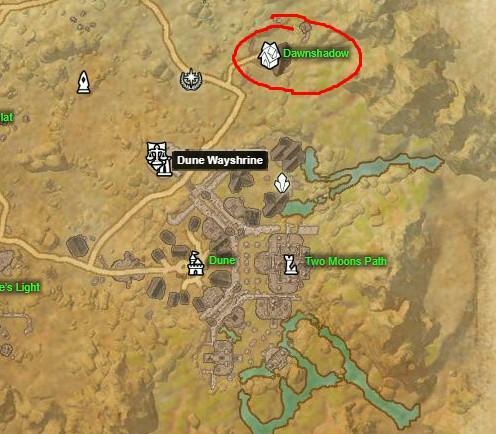 Its mediocre location however in the town of Narsis will force you to ride to West Narsis Wayshrine for all your crafting and banking needs.